Sports | a Mahesh Blog. Why this much hoopla over IPL? Due to the lack of para-military forces, security was declined for the IPL matches and the govt asked the IPL organisers to postpone the matches.But the board members were reluctant for the procrastination(Since the dates wud clash with international matches. )and shifted the venue to South Africa.With this kinda scenario its needless to say how the parties will do their maximum efforts in politicising the issue for their political gains Esp.When the elections are round the corner.Adding to this IPL organisers too expressed their disappointment over the rejection of security.And everyone created a scene as if conducting IPL matches in the subcontinent is a matter of national pride.Claiming security for 52 matches in the midst of Gen.Elecs is not an easy thing. (Even the Gen.Elecs are conducted in multiple phases jus coz of the lack of numbers in police forces. )To be more precise its not even a much significant World cup or Asian games which involves many countries,so that to seek for para-military forces.Then why this much fuss for a Local County cricket tournament? This IPL episode clearly shows cricket in India taking too much privilege over other sports.What will happen if the IPL matches are conducted frequently in the coming years? Do the security people don’t have any other job than guarding these over hyped county tournaments? Asif & Akthar’s Cricket Life Cycle. 1.Perform Well in a Series as a Key Bowler. 2.Rested for the Next Tour due to Injury Concerns. 4.Quarrel with Coach Or Team Manager Or Board. 5.Suspended for Rest of the Series. 8.Suspended for Rest Of the Matches. 13.Condemn PCB in a Pak Daily. 14.Get Banned For Two Years. 16.Get Caught in Dubai Airport due to the Possession of Contraband Items. 19.Get Caught in Dope Test. Note:I Swear these two things can’t happen in our Lifetime. Steyn Stains the Indian Dressing Room. An Ardent Fan Of Pace Bowling since my School Days.My All Time Favts. Barring these I can’t enjoy the Current Scenario Of Pace Bowling.Esp After T20 came out the most Pathetic is the fate Of Pacers.Still a Gem shines,a Star is Born,a sandwich of both Ambrose and Akram.Its Great to Watch his Bowling Sorry Firing. 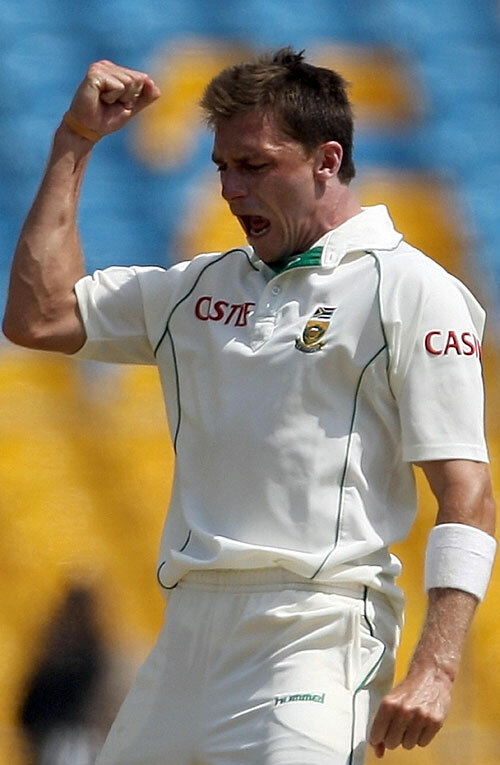 a Lethal Missile..
Dale Steyn who rocked the Poor Indian Batting Line up into Pieces…. Wow !!!! One of my greatest moment in my life seeing Men in Blue Tearing Apart by a Single Macho Man which ended the match in mere three days.Actually am following this guy for the past five to six months.Though i haven’t seen much of his action i was eagerly expecting him in the sub continent.But never expected this kinda terrific (Thanks Ravi Shastri) Performance. Said to one Of My Friend about Steyn before the Indo-Proteas Tour.But he rubbished the chances of shining in the Indian Lifeless Pitches.Now its Lifeless For Men in Blue.Steyn this guy has an amazing future. Why I hate the Men in Blue to the core from my Childhood Days.Reasons ? An admirer of West Indies from my First Std. 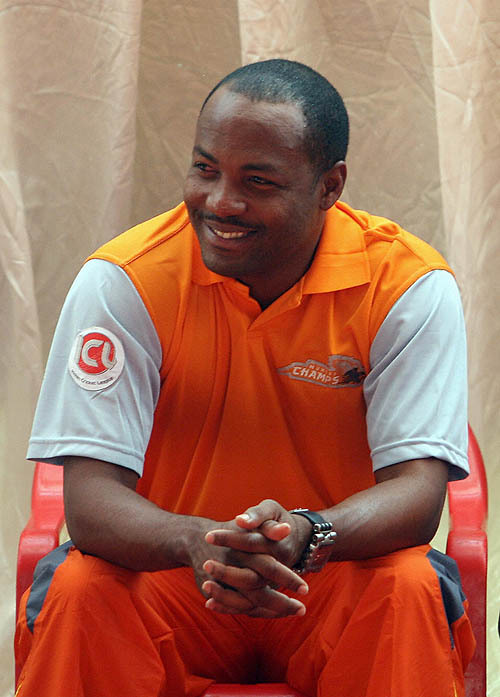 With his Counterparts(Sachin,Saurav,Dravid,Ponting,Yousuf,Akthar) Settling In IPL,Lara in ICL?